Sanders leads Hillary Clinton by a comfortable margin in New Hampshire, and he has almost caught her in nationwide fundraising. How did he do it? Manchester, New Hampshire—“There is no secret formula to winning in New Hampshire,” says Julia Barnes. 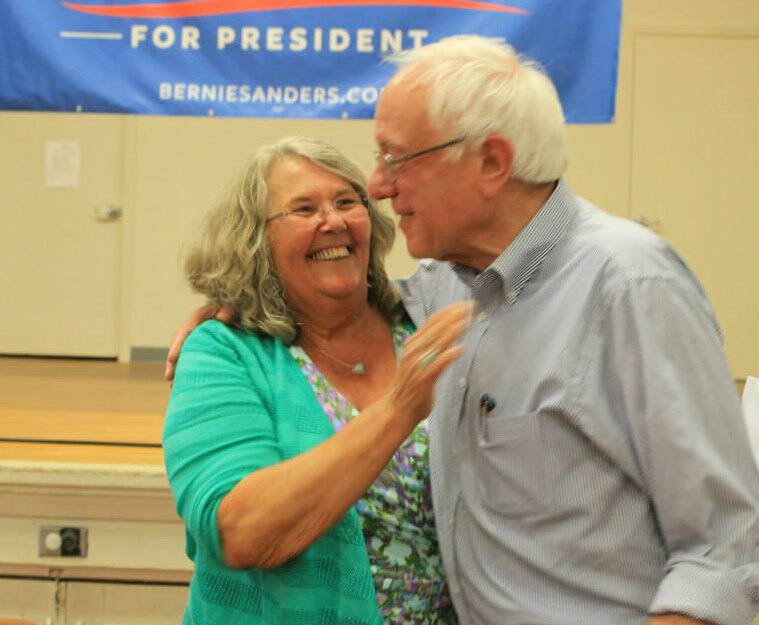 “Volunteers recruited plus tactics equals the win number.” A native of Hollis, a town about 25 miles south of here, Barnes is the state director for Bernie Sanders’s presidential campaign. By “tactics,” she means boots on the ground: the slow, unglamorous, persistent work of contacting likely primary voters and identifying Sanders supporters—and then making sure all of them actually vote. Presidential campaigns are like icebergs. There’s the part you see: the candidate, making speeches or appearing on television, and the supporters, cheering at rallies, wearing buttons, knocking on doors. Then there’s the much larger part you can’t see: the tables at campaign headquarters piled high with leaflets and lawn signs, the paid staff—and the army of volunteers with clipboards working phone banks, keeping track of voter preferences, and making sure “leaners” and undecideds get plenty of follow-up. New Hampshire’s primary is currently scheduled for February 9, 2016. Bernie Sanders has no path to the White House that doesn’t begin with a win here. In May, he trailed Hillary Clinton among likely voters in the state by 38 points. At the beginning of the summer, he was still 10 points behind. The latest poll puts Sanders ahead of Clinton 42 percent to 28 percent— a margin traditionally described as a “comfortable lead.” In another sign of his surge, in late September, a Sanders rally at the University of New Hampshire drew over 3,000 supporters; a Clinton event two days earlier at the same place attracted just 600. The Sanders campaign is nothing like that. Look below the waterline and instead of a single streamlined operation, you find twin hulls. One is a professionally run, locally focused effort where the candidate’s position on the Northern Pass (a controversial plan to build a high-voltage power line through the state) is as important as his views on immigration and taxes. The other is a parallel structure, a volunteer-based reservoir of energy, talent, and enthusiasm that propelled a senator from a tiny state into a national figure. I’ve come to think of this operation as the Sanders second shift. King, who turns 24 this month, is the group’s senior digital organizer. Among other things, he runs the San- ders for President forum on Reddit, the massively popular news and social-networking website. King’s subreddit— a place for the online discussion of all things Bernie—has amassed over 113,000 subscribers to date. If that sounds inconsequential, you probably weren’t paying attention on April 30, when Sanders used Reddit to announce his candidacy. Or to the AMA—“Ask Me Anything”—he did on the site in May. Or to the news on October 1, when the Sanders campaign announced it had raised a whopping $26 million, largely from small donors online. That put the Vermont socialist within touching distance of Clinton’s $28 million for the quarter. 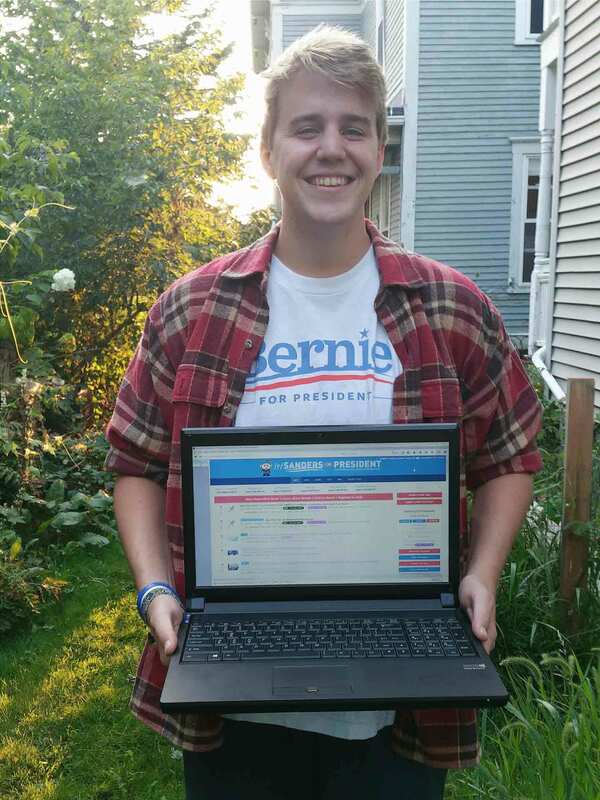 Aidan King’s Sanders for President forum on Reddit has amassed over 113,000 subscribers. Although he’s in regular contact with Kenneth Pennington, the Sanders campaign’s digital director, King and his fellow volunteers “don’t take orders. They don’t dictate the content, although if they want to promote an event or a particular issue, they’ll ask. We’re here to help, not to compete,” he says. 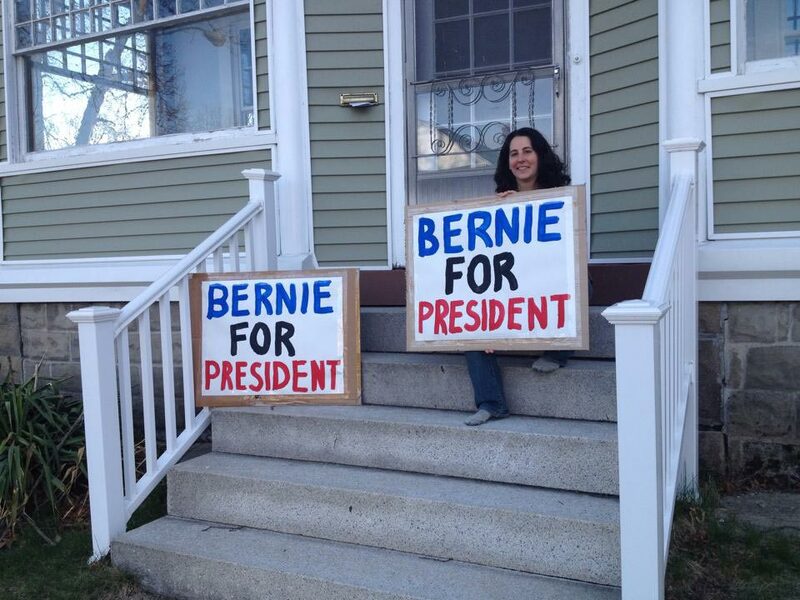 Daniela Perdomo’s relationship with the Sanders campaign is even more detached. “I’ve never even been to Vermont,” she laughs. The US-born daughter of an Israeli mother and a Guatemalan father, Perdomo spent most of her childhood in Brazil, returning to the United States for college, where she volunteered as a community organizer. After a stint as a staff writer for the Los Angeles Times—“because I spoke Spanish, they put me on what I call the ‘structural inequality’ beat. Basically, I was writing about brown people”—she took a series of tech jobs on the West Coast and wrote for Alternet. Then the recession hit. 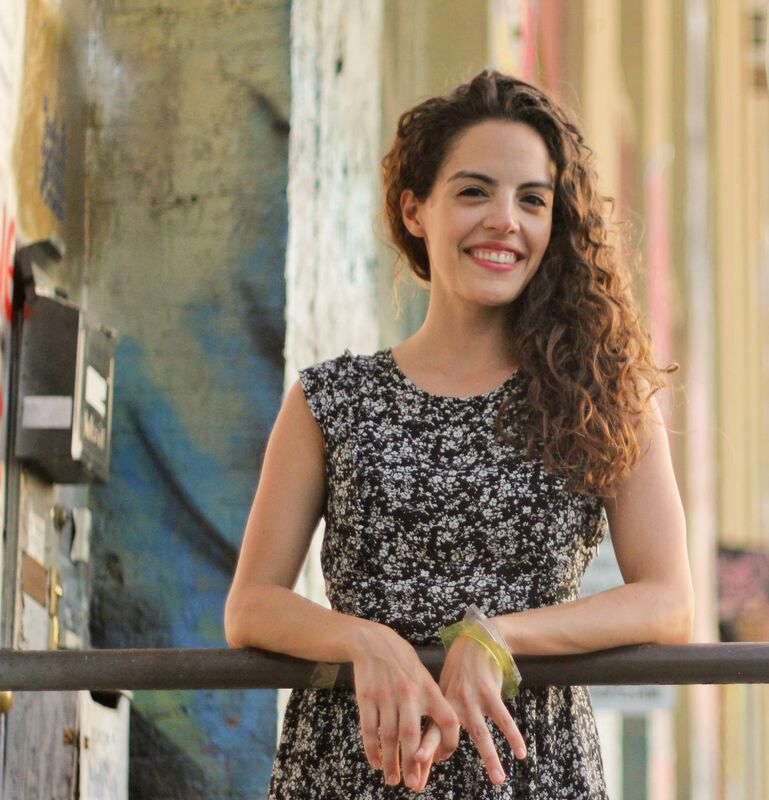 Following the job market back to New York, Perdomo worked for a couple of start-ups before founding her own company, goTenna, which lets mobile-phone users send texts and share location data even in areas with no phone service. Her personal trajectory may be unusual, but the political impulse that spurred Perdomo to also work a second unpaid shift is beginning to sound familiar. “I first came across Bernie Sanders during the Obama- care debate, when it seemed like there was a real chance for universal healthcare. I was on board with Obama from the first day, but when he took the public option off the table, I was pretty disappointed,” she says. Until she found her way to the Sanders subreddit. “Suddenly, I heard conversations no one in my office was talking about,” she says. But when she tried to research Sanders’s record, “all I found were dismissive news stories. So I decided to build a website optimized for search and social media.” Before she knew it, Perdomo had 125 volunteers, and in 32 days had made FeeltheBern.org. “This is support you cannot buy. It can only be free,” Perdomo says. Since its launch on August 12, the website has garnered over 2 million views. What does the Sanders campaign make of her effort? “I wasn’t even in touch with them until we launched,” Perdomo says. “They trust what we’re doing.” Sanders’s headquarters in Burlington, Vermont, “may be the sun, but there are a lot of planets. And here’s why it’s so easy to coordinate: because we don’t have to. Another example of the new tool kit is the Bernie Post, a news website devoted to covering the campaign. Unlike the Reddit page, its look is slick and fairly traditional. 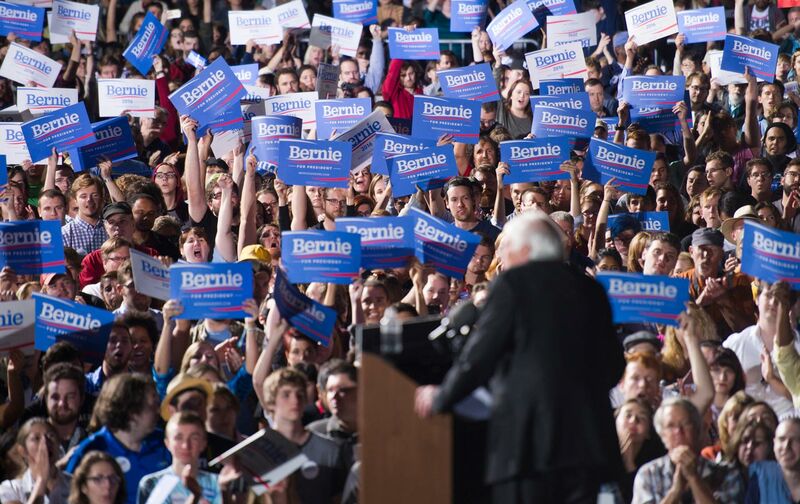 Launched in August, the Bernie Post attracted 40,000 readers in its first three weeks. When I contacted editor Torin Peel to request an interview, he told me he lives in Geelong, Australia—and that he’s still in high school. In an interview with Buzzfeed, Pennington said the Sanders campaign differs from past grassroots digital efforts in that it relies on volunteers for a lot of the basic work of building a field operation. So far, the Sanders second shift has been the campaign’s secret weapon. If the tag team of conventional ground game and roll-your-own web effort carries Sanders to victory in New Hampshire and Iowa, both teams will deserve the credit. But as the battleground shifts from small states, where the premium is on intensity and commitment, to larger states, where organization becomes more important, the contrast between the senator’s ad hoc insurgency and the disciplined professionals in Clinton’s corner may not remain so favorable. On the other hand, Sanders’s recent fundraising success has allowed the campaign to draw up plans to expand into Virginia and other Super Tuesday states. Hillary Clinton may still stop Sanders, but she can no longer afford to dismiss him—or alienate his supporters. “Don’t you get that this is the base?” says Ropp. “Personally, I have a lot of time for Hillary,” says Friedlander, “and if she wins, I’ll do whatever I can to help.” Provided, that is, she wins in a fair fight. Limiting the Democrats to just six debates, with the New Hampshire event scheduled “between Hanukkah and Christmas, it looks like [Democratic National Committee chair] Debbie Wasserman Shultz has her thumb on the scale,” says Burt Cohen. Even if it never gets beyond Iowa, the Sanders campaign has already revealed a yearning for change—and an enthusiasm for radical solutions—that even six months ago seemed beyond imagination. The 2016 election was supposed to be a snoozefest enlived only by the dynastic battle between the houses of Bush and Clinton. Instead, Donald Trump has taken the Republicans on their wildest ride since 1964, while the populist fervor of Sanders and his supporters prompts comparisons with George McGovern, or even Robert Kennedy’s 1968 campaign. We know how those stories ended. When I meet with a Nation reading group in Hanover, there is little support for Clinton, even though the membership is 80 percent women. However, along with enthusiasm for Sanders’s program and amazement at how far he’s come, there is also dread at what another electoral defeat would mean. “I worry about leaving young people with a sense of futility,” says Susan McGrew. That, too, feels familiar—and hard to shake off, as is the fear that the primaries take place inside a kind of left bubble, doomed to burst on contact with the electorate. But what if 2016 really is one of those years where history turns? Though Syriza’s shaky survival in Greece may not be grounds for celebration, take in the rise of Podemos in Spain and veteran radical Jeremy Corbyn’s pundit-defying victory in the British Labour Party, and it begins to seem like something is happening here, even if we don’t know what it is.